When I first started creating my own recipes my instinct was to keep them close to the vest. What if I made an award winning beer? I can’t have people copying my award-winning, life-altering beer! What if I followed the lead of so many other homebrewers and opened a commercial brewery? I couldn’t have my trade secrets out in the ether. As I brewed, I realized a few things. Most of my early, precious recipes produced middling beers at best. Stealing one of those recipes would be almost as useful as stealing my identity to sign up for a bunch of credit cards. I also came to realize that an experienced brewer with a good palate and enough time can eventually clone anything. More importantly, at it’s core homebrewing and craft brewing is about sharing and generosity. Prominent brewers like Charlie Papazian, Brad Smith, and Jamil Zanichef willingly share their recipes to help others brew better beer. Commercial brewers like Bissell Brothers regularly share their recipes with homebrewers. Most of them started as homebrewers and want to give back. Ballast Point started out of a homebrew shop, and they have a line of beers called “The Homework Series” where the beer comes with the actual homebrew recipe. Homebrewing and craft beer is a lot about sharing (even if you sometimes want to be left alone or watch a game). Whether it’s homebrewers sharing best practices at a club meeting, judges giving their time to provide constructive feedback, or commercial brewers sharing resources and expertise with newer brewers. 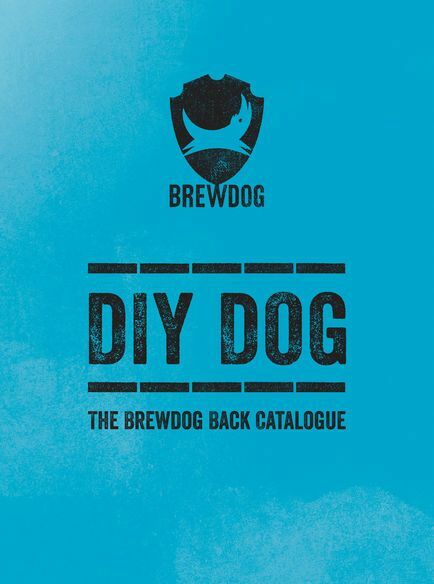 As a fan of the Brew Dogs TV show, I am sure I’ll have to brew at least one of their recipes. Brew Dog is building their first American brewery in Columbus, Ohio. Until that opens, all of their beer sold in the U.S. is imported from Scotland. Their beer is available, but not exactly widely available. If/when I brew one of the recipes, I’ll have to choose something that I haven’t seen in the US or something no longer in production. For homebrewers, if there is ever any indication of the folly of not sharing recipes this is it. I started sharing all of my recipes as I started working on the blog. It would be a trip if someone decided to brew any one of them. The advantages a commercial brewer has over most homebrewers are evident. Better equipment, better quality controls, greater knowledge and experience are a few that come to mind. Commercial brewing is also highly regulated. That can give the homebrewer more latitude to be creative. One example is that it is illegal for a commercial brewer to add hard alcohol directly to their beer. The increasing popularity of barrel aging is a way commercial brewers add the flavor and character of a particular spirit without blending the spirit directly into the beer. However, there is nothing that stops a homebrewer from adding hard alcohol to his/her beer. My favorite aspect of brewing is researching and developing recipes. I have probably made twice as many recipes as I have brewed batches. One recipe I have wanted to brew for years was called “Patriot’s Day Breakfast Stout”. It is a Founders Breakfast Stout-like beer, but with some New England touches. A perfect beer to enjoy when the Red Sox take the field at 11:00 a.m. on Patriot’s Day. Recently I looked over the recipe for the first time in at least a year. My concern was that there were too many ingredients and too many flavors in the recipe. If there are too many flavors in a beer the overall flavor can be muddled. When developing a recipe, you can adhere to a style, take inspiration from a particular beer, or you can start with a flavor in mind. I decided to refocus my recipe and make an Irish Coffee-flavored stout. In an Irish Coffee there is the underlying coffee flavor, creaminess and sweetness from the Irish Cream, and of course Irish whiskey! As a homebrewer I can add Jameson directly to my beer. Having never added booze to my beer, this is uncharted territory. I’ll start by adding a cup at bottling, and go up from there until I have the flavor I want. If I add Bailey’s to the beer, the cream will curdle. I will try to replicate the flavor with copious amounts of flaked oats and light Crystal malt. The only dark malts will be roasted barley and black malt which will provide coffee notes that will complement the actual coffee. Like Founders does in their Breakfast Stout, I will add coffee at two stages: Peet’s French Roast beans after the boil, and Kona coffee added seven days before packaging. I cracked the beans to expose more of the surface area to the wort, and steeped the beans in the still hot, but not boiling wort. At around 8% alcohol by volume the beer is going to be rich and full-bodied. Brewing at home the only way I can brew that big of a beer is to use plenty of malt extract. To get the flaked oat character I had to do a partial mash. With 2:3 ratio of flaked oats to base malt I am using 6-row barley, which with its higher protein and enzyme content will help convert more of the starches in the oats into fermentable sugars. I pitched plenty of 1084 Irish Ale yeast and the beer was bubbling away at 70F. I could have made ye beer higher in alcohol, but I didn’t want this beer to be a slow sipper. The Jameson will also contribute to the alcohol content. A few months back I placed my first order with MoreBeer!. MoreBeer! has facilities in Pennsylvania and California, which means they can ship to Massachusetts in two days. When I needed parts ASAP for my Jockey Box the week of Ales for ALS, and didn't have time to buy locally, they were the natural choice. They also offer free shipping on orders over $59. To get over the limit I purchased their American Amber Ale extract kit. When the kit arrived I was very impressed with how it was packaged. Instead of cans or plastic bottles of malt extract, it arrived in a sealed foil bag. Looking at their site, they sell their extract in these pouches in one pound increments ranging from three to nine pounds, as opposed to just a three or six-pound container. Being able to order exactly how much extract you need is convenient and cost-effective. I added the kit to my virtual cart without reading the description, “A rich Amber Ale. An American variation of an English Pale Ale (bitter). Features Willamette hops for flavor and aroma. The combination of the darker Crystal malts with Willamette hops provides for a flavor that is distinctly different than our American Pale Ale. Higher in alcohol with a creamy mouth feel”. The suggested yeast was Chico. The recipe sounds like an interesting contrast to an English bitter, but it wasn't exactly what I had in mind when I ordered it. I started to contemplate ways to utilize the ingredients in a recipe of my own. I strongly considered using the 1084 Irish Ale I harvested from BeerSmith's Dry Irish Stout to brew an Irish Red Ale, but I also had a packet of Windsor Ale yeast that was expiring this month. Having never used this strain, it seemed like as good of a time as any to give it a try. Windsor sounds like a classic English strain that would be perfect for an actual bitter. The malts are all American. The beer won't have the biscuit flavor of a Fullers ESB, but the yeast and Willamette hops will make it appropriate for the style; Willamette can be used interchangeably with English Fuggle hops. I made a few other minor adjustments to the original recipe. I added a small amount of Caramel 120 to add color and more pronounced malt flavor. I also added corn sugar and a very small amount of chocolate malt to dry the beer out. Employing only a partial boil on my electric stove, sweetness from kettle caramelization (where the sugars in the wort literally caramelize) is always a concern. The sugar will also lighten the body a little bit. I plan to bring a keg of this beer along with BeerSmith's Dry Irish Stout to a party next month. When I made my adjustments to the recipe I had drinkability in mind. I make a distinction between drinking beer and tasting beer. Intuitively one would think you taste beer as you drink it. Technically this is true, but I find when I am drinking a beer I don't taste is as critically as I would if I went in trying to just taste it. When I write a “Tasting Notes” post, I will carefully fill a glass, hold the glass up to the light taking note of the color, clarity, and head. Next I will smell the beer and note what aromas I am getting. Then I will take my first sip and note flavors and palate sensations. If I am socially having a beer, I will just throw it back like a normal person. These beers were both brewed to serve at a family Christmas party. I brought the leftovers to the North Shore Brewers holiday party. I didn't have a chance to really sit down and evaluate either beers like I normally would, but I do have some general thoughts on both. The 2015 Pa's Video Board Lager was the worst one yet. It was still good, but I noticed a few flaws and things I want to change to perfect the brew. There was a low, but noticeable sourness to the beer. I used lactic acid drops to lower the pH of the mash. That the sourness made it through to the final beer makes me think I added too many drops. I also didn't rack the beer for secondary fermentation which I think effected the clarity of the beer. Removing the dry hops that I used in the 2014 version really changed the character more than I had expected. I fully expect to bring them back in 2016. I'll be darned if the Celebration clone didn't taste like Celebration! I think the adjustments I made to the recipe were right on the money. By modern standards Celebration isn't much of a hop bomb, but this recipe shows you don't have to use a pound of hops per gallon to brew a beer with a really nice hop flavor. The caramel malt also worked nicely with the hops. Not every hoppy beer has to be gold or lighter in color. There was also some hop matter that made it into the keg. I need to use a nylon bag or some other type of filtration when racking into kegs. The clarity of the beer was poor; I think a secondary fermentation may have helped here too. For next year I will brew these beers earlier so I have time for a secondary fermentation. I think giving these beers some time off the yeast to clear before packaging will help. A lager phase for Pa's Lager will help smooth out the flavor. At the club's holiday party, I received positive feedback on both beers. I enjoyed drinking both of them. That doesn't mean I can't make some minor tweaks to improve them for next year. A few weeks ago I wrote about what I dislike about craft beer bars. Places like I described in the article have a certain level of pretentiousness that I don't care for. The Tap in Haverhill is not like that at all. I wouldn't call it a sports bar, but they do have a few large TVs that are usually on; if you want to watch a game and not talk, you can! There is also a pool table downstairs, and function space upstairs. The staff are all completely friendly and awesome. The service is always excellent, and they are always engaging with guests when they're not serving drinks. The Tap is everything I think a brewpub should be. The food menu is approachable, and the portions are massive. My bangers and mash came with five sausage links and a huge helping of mashed potatoes. The Tap has a core group of beers that are available year-round, and they constantly experiment with and brew a wide variety of styles. Out of their year-round offerings, the Bitter Rival West Coast IPA is my favorite. In addition to the laid back atmosphere, and variety of styles, the other way to my heart is seasonably appropriate beer. Pumpkin Eater uses fresh, local sugar pumpkin just like I used in my last pumpkin beer. As such Pumpkin Eater isn't out in August. Maybe it is my bias, but the beer itself is my favorite pumpkin beer. If that wasn't enough, the another way to my heart is cask beer. They tap a new cask every Tuesday. For our visit they had a solid oatmeal stout in the cask. Special Hug? is a smooth English Porter that isn't too heavy, which gave me some food for thought for the next batch of Curly's Milk Stout. My favorite beers of the night were Stardust, a Belgian Blond, and Asteroid B 327, a cloudy and juicy New England IPA. If you live in or around Haverhill, get this beer instead of trying to find parking in Boston, or driving or Vermont, to wait in line somewhere. This would be a solid addition to the year-round lineup to go with Bitter Rival, and Leather Lips which is a more balanced, traditional East Coast IPA. If The Tap was a little closer, and the drive back to Beverly involve 45 minutes of almost total darkness, I would visit more often. The last time we visited was almost two years ago. We certainly will make sure not to wait another two years to go back. I had no idea what to expect with this brew. My thought was that the beer would be harsh thanks to the large amount of corn sugar in the recipe drying out the beer. I also thought the beer would be bitter with no discernible hop flavor. When I tasted the beer on bottling day I was underwhelmed to say the least. The bitterness was puckering and dominant. The beer pours copper to dark copper in color with a foamy white head. The head retention is quite good considering how much corn sugar was used in the grist. Clarity is ok, there is some haze. Chico yeast isn't the best yeast when it comes to dropping out of suspension and clearing. Commercial brewers and more advanced homebrewers have equipment and processes to help beers with Chico clear. The rest of us will have to accept somewhat hazy beer when using it. The aroma had light sulfur notes. Not a high, or unpleasant aroma, it is more like the aroma you would get from a lager. There are also low floral notes, likely esters from the yeast. The time in the bottle smoothed out the previously puckering bitterness. A low hop flavor blends nicely with the malt. Perhaps this is evidence that first wort hopping leaves more residual hop flavor than adding hops at the beginning of the boil. The body is medium-low to medium, with medium-high carbonation. I wouldn't call the beer spritzy, but it's close. The plum and burnt sugar notes typically associated with dark caramel malt are restrained. Tasting the beer, I think the sugar cut the flavor and color of the caramel malt nicely. There is nothing about the beer that knocks your socks off. Malt, hop, and yeast flavors are all there in low levels and in balance. The closest contemporary commercial beer I would compare this beer to if I squint my pallette would be Yuengling Lager, but if Yuengling was an ale. This beer is maltier and drier than Yuengling, but it is kind of close. In all it was a fun and interesting beer to make. I am glad that I brewed a one gallon batch. I'm not sure I would want two cases of the stuff. If I were to brew it again I would use a different yeast. Ideally a yeast that doesn't attenuate as much as S05. I think if the beer didn't finish quite as dry, and if the malt flavor was accentuated just a little bit more, the beer would be that much better.